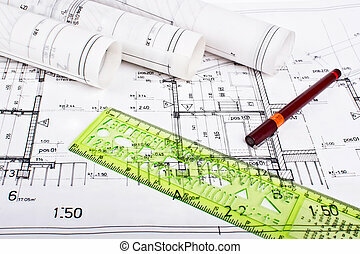 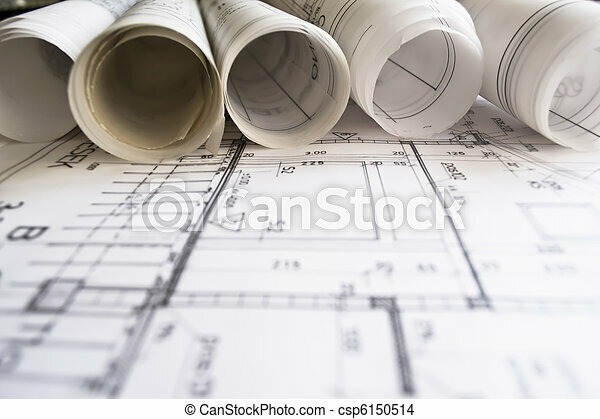 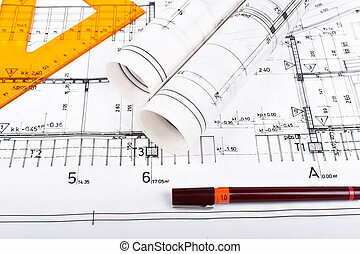 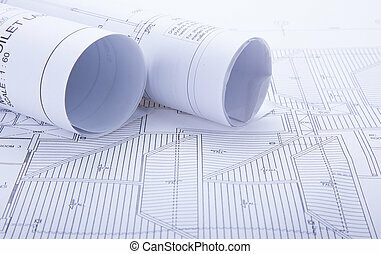 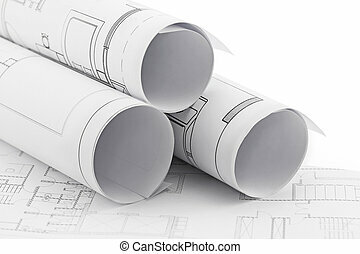 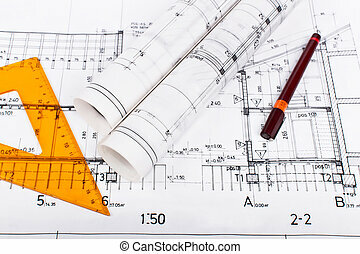 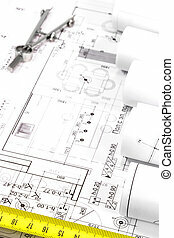 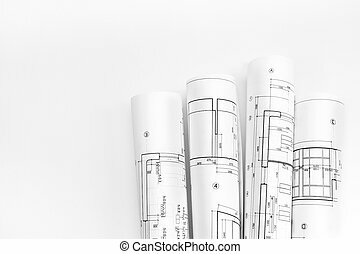 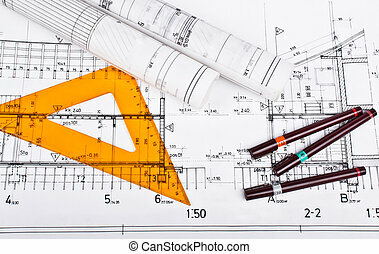 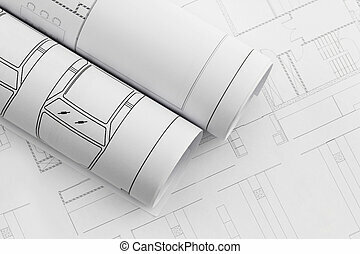 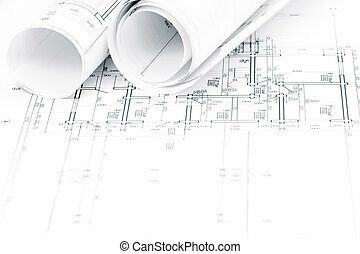 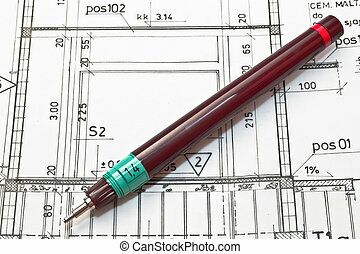 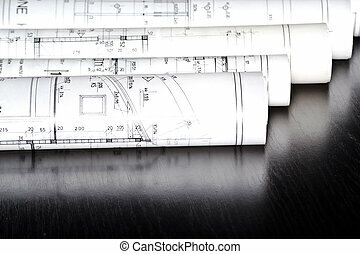 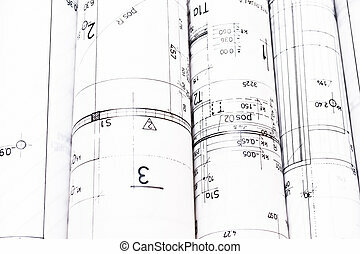 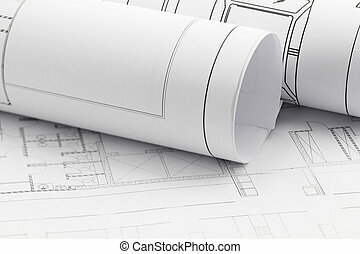 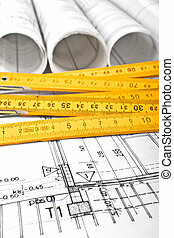 Architect rolls and plans. 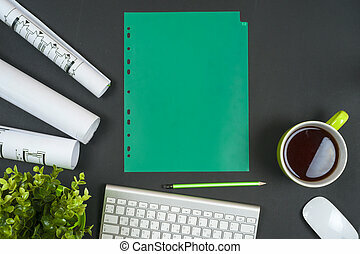 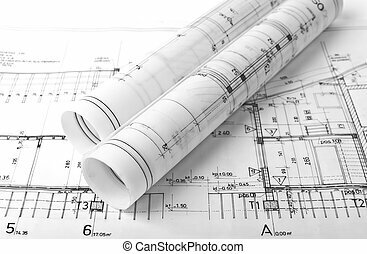 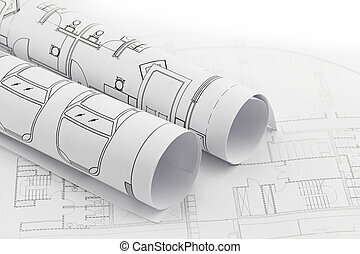 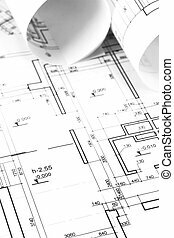 Technical project drawing,close up on project,planning of interiors design on paper,construction plan in rolls,architectural project. 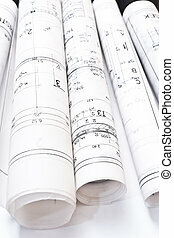 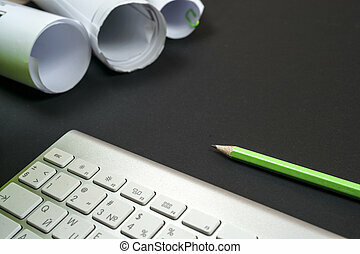 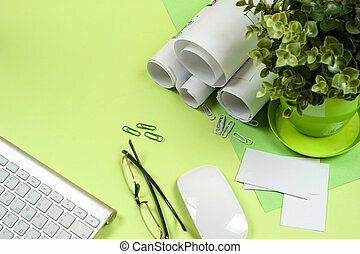 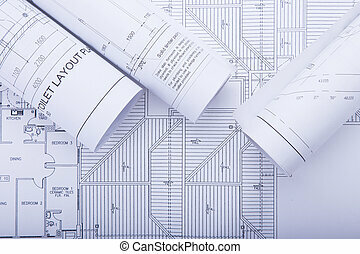 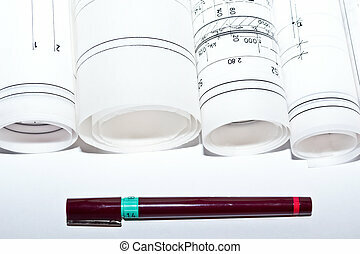 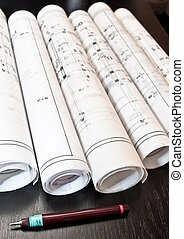 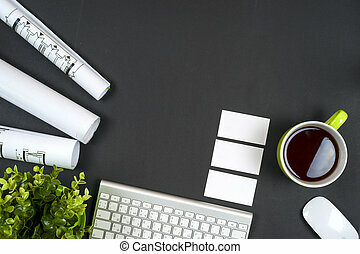 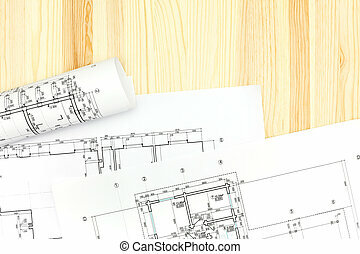 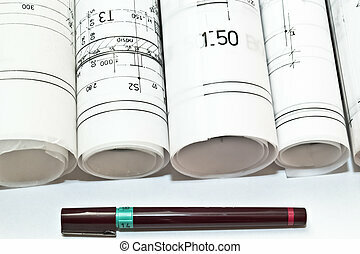 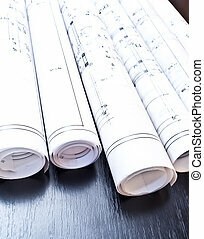 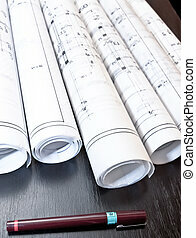 Workplace of architect - rolls and plans.